Sometimes getting hurt cannot be avoided. There are many ways to become seriously injured, even when one is very careful. Between slippery road conditions, faulty machinery at work, or even bad lighting at your apartment complex, there are many issues that a person can face each and every day. Don't let injury get to you, especially when you have a wider life to live. However, in this vulnerable time it is overwhelming to challenge those that are making your life more difficult, whether it be an insurance company that won't honor their own policy, or a reckless driver that crashed into your vehicle, or hospital that is sending thousands of dollars of bills your way. Hamilton County BMV-- The Hamilton County BMV can offer resources in the aftermath of a car accident, including driver abstracts and other information. 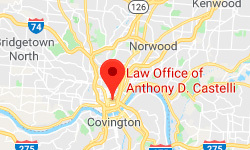 Blue Ash Mayor's Court -- Contact the City of Blue Ash Mayor's Court for more information about court dates or other information if you are facing a traffic infraction or are attending to challenge a defendant. Blue Ash Police Department-- The Blue Ash Police Department can offer many resources in the aftermath of an accident. Whether it is a traffic violation record or an accident record, these are vital records in any lawsuit. Injuries are a serious matter in Hamilton County and all of Ohio. In Hamilton County alone in 2013, according to the Ohio Department of Public Safety, there were over 24,000 crashes with 18,390 that led to injury or death. Furthermore, injury can strike at any point. According to research from Ohio State University, injuries are not uncommon when lifting patients at rest homes. A serious injury must be dealt with immediately. While you may have seen a doctor already, there is an important legal aspect that cannot be ignored. When facing a loss of income, long term injury, or the loss of vehicle, making sure that you have someone with years of experience and hundreds of wins under their belt is vital. 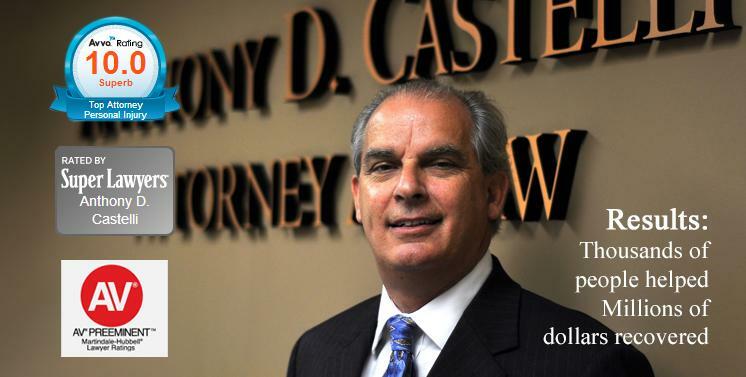 Anthony Castelli has gotten results for his clients time after time. His method of treating his clients like partners and aggressively challenging unsafe or reckless parties has earned him accolades across Ohio, including repeatedly being listed an Ohio Super Lawyer. His thoughtful and thorough approach has won many personal injury and auto accident cases and he wants to help whenever possible. Contact Anthony's office for more information and to receive a free, no-pressure consultation today. Call him at 513.621.2345 to determine how you should proceed and how he can help you become whole again. Learn how his unique system of Uncompromising Injury Advocacy can benefit you with a potential for a higher settlement.